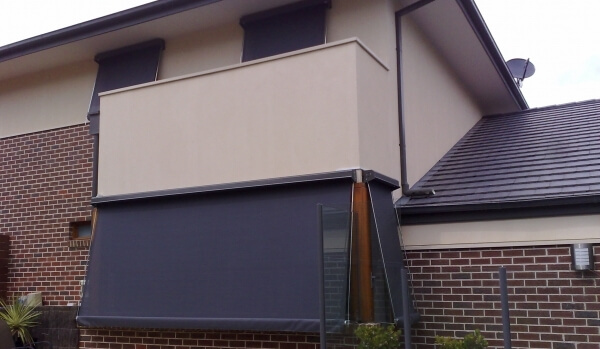 Outdoor awnings are an economical and great way to shield windows and doors from the harsh Melbourne sun while at the same time significantly reducing the inside temperature. They are designed to reduce up to 100% of glare and up to 75% of heat transmission. Our durable and high-quality outdoor awnings offer comfort and protection to Melbourne residents across the metropolitan area. 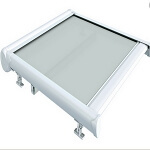 Outdoor awnings are generally used to shield glass windows and doors from the sun and reduce the inside temperature by creating shade and preventing the transfer of heat. 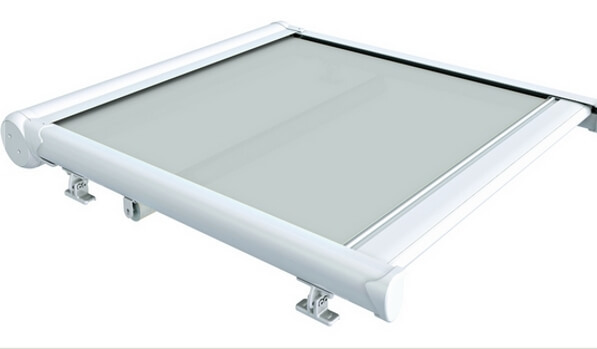 Uses include single storey and multi-storey windows, bay windows, atriums as well as glass balcony doors. 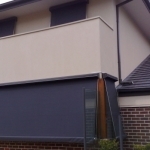 Our blinds and awnings can found around Melbourne in domestic homes, schools, offices and government buildings. 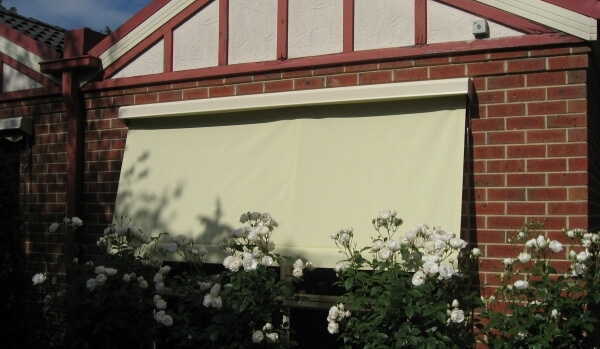 Choose from the classical canvas auto blind, fixed rod or wire guides, Vertiscreens, Drop Arm Awnings and fully motorised sun roof blinds. 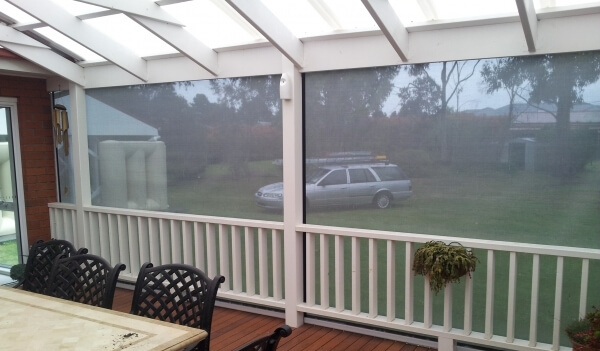 With our large range of outdoor blinds and awnings products as well as different operating methods, we’ve got Melbourne’s weather covered. 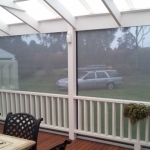 All our outdoor awning products are custom made here in Melbourne to your specific requirements. They employ quality materials like colorbond hoods, powder-coated aluminium parts, galvanised or stainless-steel components. 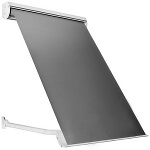 We also use only leading fabric brands like Brella for out fabrics. Our motors are either the German Becker brand or the French Somfy ones. This is why we can confidently back our outdoor blinds and awnings with a 5-year warranty. 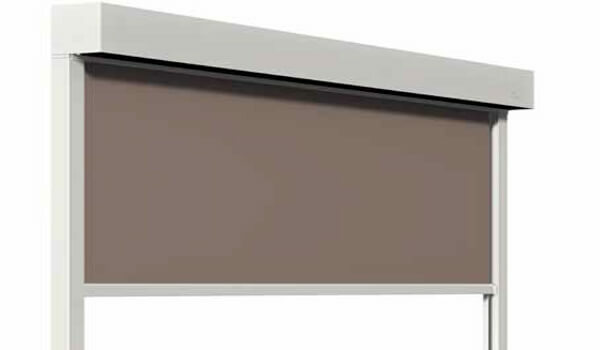 Depending on which outdoor awning you need options can include; different sized colourbond pelmets, different arm/projection lengths and guides, different operating and securing methods. There’s also a large choice of leading brand fabrics and colours to choose from. 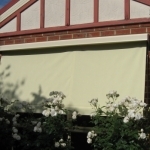 Operating methods including, spring, crank and motorisation.To learn more about the possibilities of our superior outdoor awnings Melbourne locals can call the team at Euro Blinds on 1300 405 354.